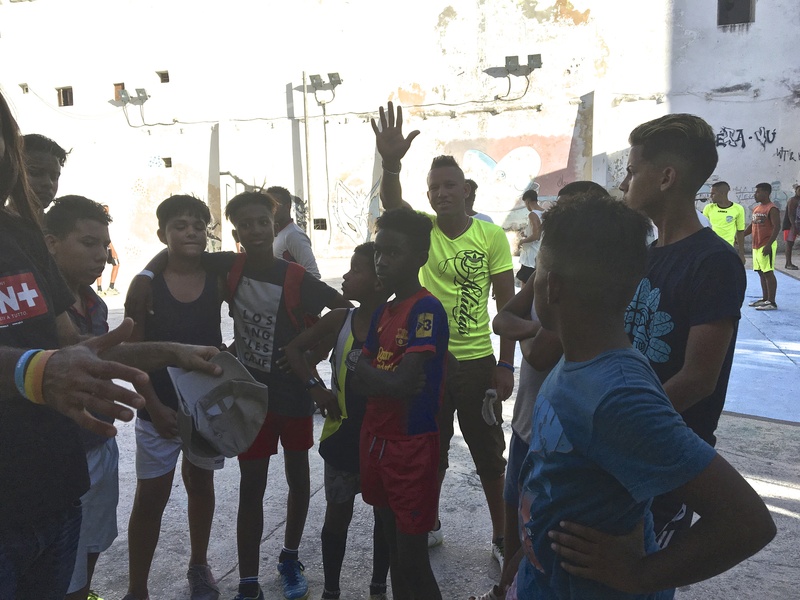 Last stop for the day was the “Barrio Habana” effort, a community-based after-school program offering sports and arts for children and youth (and the elderly) especially for at-risk children on the street. Pavel Valdez, a lawyer and former football (soccer) player founded the program with his wife 12 years ago. 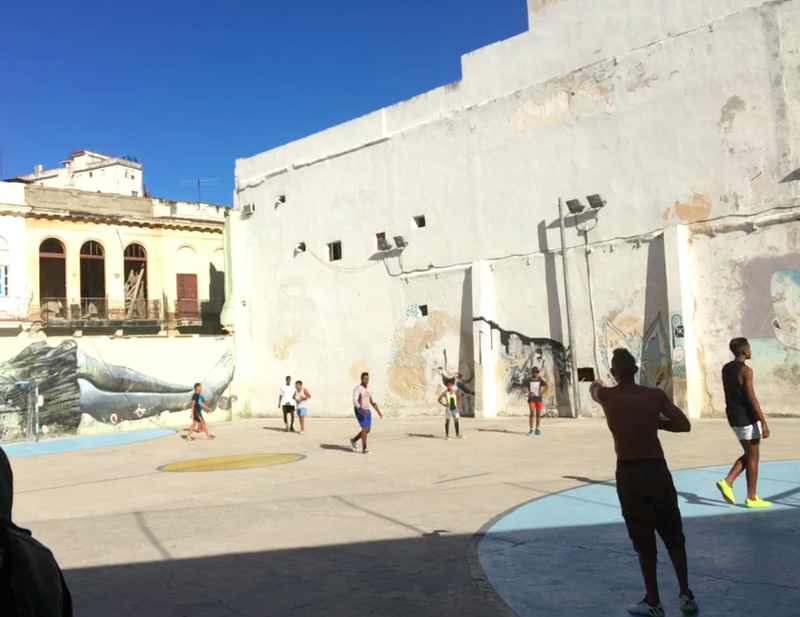 The main athletic facilities are located in public space (available free to Barrio Habana), which he set out to clean and paint. The space (below) is basically a concrete playground that accommodates a small soccer field and it is located adjacent to what appears to an American eye to be very substandard apartment housing. Valdez (below) described an effort to interest neighborhood children and teens in culture and museums, but found the boys in particular obsessed with football. He started with where they boys were. He sees football as just a vehicle to start a conversation with kids in the neighborhood. The football program has been very successful. 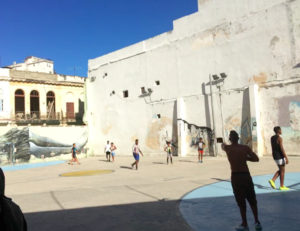 Barrio Habana now has some of the best sports teams in the city, regularly winning city-wide competitions. 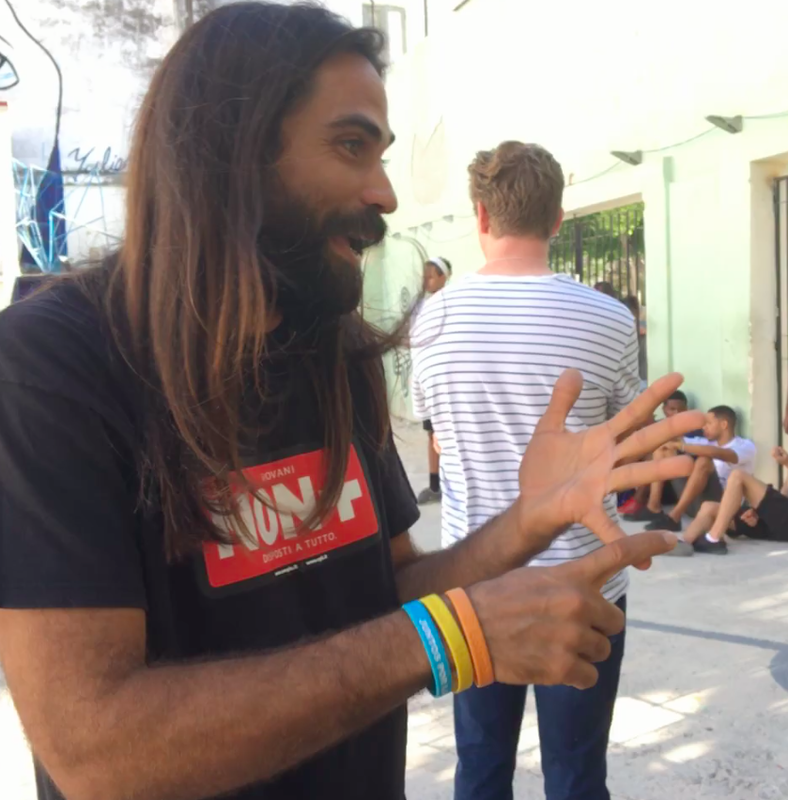 Three of his “graduates” competed for selection in Cuba’s World Cup team, and eight are now in pre-selection competition. The program offers chess and now boasts the best 8-year-old chess team in the city. It offers an arts program and intergenerational programs with a local senior citizens center. Girls are not attracted to football, but are actively involved in volleyball, softball, and dance. The program subsists on donations and volunteers and desperately needs such elementary materials as Lego sets and chess boards. 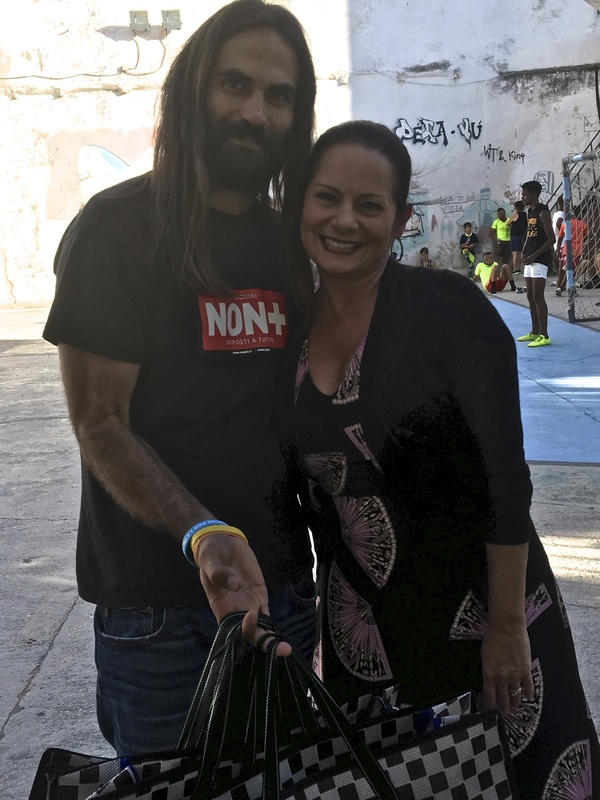 With that, Susan Enfield presented Mr. Valdez with some gifts from the Roundtable and young boys who had been playing very competitive soccer in the background, crowded around him as he started to pass out some of the goodies.